Do you know what your annual maximum is? 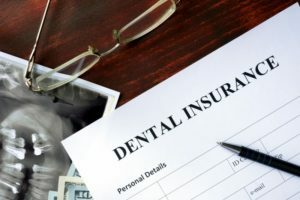 This number is important because it’s the highest amount your insurance is willing to pay for your dental care in one year. If you can reach or exceed this number, you’ll be maximizing the dental benefits that you’ve worked hard for. Most annual maximums are around $1000, but this figure can vary from plan to plan. The best way to maximize your insurance benefits is to get in to see your dentist early in the year. Most insurance plans cover preventive care visits like checkups and cleanings, so these are a great way to cash in on your earned benefits. If you see your dentist early in the year, they can develop a treatment plan that maps out what kind of dental work you’ll need for the upcoming months. After that, you and your dentist’s office will have a better idea of which treatments will be covered and which ones you’ll have to pay out-of-pocket. Either way, you’ll be better financially planned for the rest of the year. Plus, if you’ve had your preventive checkups and cleanings and you still have benefits left over, you’ll have enough time to make another appointment to utilize your insurance and keep your mouth looking and feeling great! Besides saving money by using your benefits, you’ll also be saving your oral health. Preventive visits are the best way of preventing and detecting early signs of dental issues like cavities, decay, gum disease, oral cancer, and more. It’s better for your health and pocketbook to catch dental problems while they’re still early because they will only get more extensive and expensive if left untreated. Now that you know how to better use your benefits in 2019, do you have your dentist’s appointment booked early in the year? Call your dentist to make sure you keep your teeth healthy and you’re saving money while doing it! A graduate of the Baylor College of Dentistry, Dr. Jayme Martinez is a highly-trained dentist who enjoys providing the best care for his patients. He takes pride in accepting most dental insurance plans to deliver quality dentistry that is affordable, too. He currently practices at Kessler Park Dental, and he can be contacted through his website or by phone at (214) 303-9969 for any questions.